As I am beginning to write UGen’s, I am also trying to implement SIMD versions to get the most out them. shows that it’s twice as fast. This seems counterintuitive, as I typically see a pretty decent speedup on things like SIMD binary operations. Is there something obviously wrong with how I’m using nova::vec? I would imagine specific performance is architecture dependent. If there is indeed a slowdown, this might be affecting other operations? This is a speculative question about whether this exists or could be implemented (feature request): Is there something like a “SIMD pointer type” for which there could be defined a custom iterator which steps nova::vec<float>::size? … and potentially get a performance boost? Have you tried looking at the disassembly for your benchmarking code? Also, what flags are you using to compile? IIRC gcc and clang are able to optimize code like this into calls to the library function sincos which calculates both transcendental functions at the same time with a negligible overhead. That would be my first guess as to what’s happening here. Have you tried looking at the disassembly for your benchmarking code? there is no such call in the SIMD version. I could post the full disassembly if it’s helpful, but there isn’t an obvious one-to-one correspondence. If that would be useful I should probably pair down to a simpler UGen to isolate the functions. So we can see DYLD sincosf_stret isn’t used in the SIMD version, and the self-weight of the calc function is ~2.5x that of the non-SIMD case. BUT I am just now noticing the call to lib system_m.dylib, just before HoaRotateLoops:next_5, which is taking 50% of the Graph_Calc. This isn’t present in the SIMD case, so I’m thinking that I should have been looking at the combined weight of these calls to compare the tests, in which case the SIMD case would be faster. If this is indeed the case, does a 5% improvement seem like a reasonable SIMD gain? Also, what flags are you using to compile? 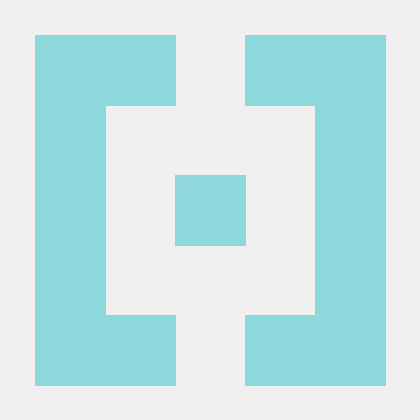 CMake plugin template (used by cookiecutter): add NOVA_SIMD build option and include boost. 1 commits changed 1 files with 10 additions and 0 deletions. libsystem_m is the OSX core system math library, so time showing up in there is almost surely calculation time. 1.5x speedup for nova is a bit disappointing, but probably a realistic speed-up from vectorization for something like sin. FYI from the context menu for any of those Instruments line items, you can choose “charge to caller” for either individual functions or whole libraries - this will remove them from the list and add the time spent in them to whoever is calling (the assumption being that e.g. you might optimize how or whether you call libsystem_m, but you won’t be optimizing libsystem_m itself). 1.5x speedup for nova is a bit disappointing, but probably a realistic speed-up from vectorization for something like sin. Assuming I’m comparing apples to apples, and interpreting the Time Profiler weights correctly, the speedup from boost appears to be only about 1.06x, which I’d hoped would be a bit more. I’m wondering if the reason it isn’t calling sincosf is because, on account of vectorizing the sin and cos operations separately, the compiler doesn’t doesn’t “see” the optimization in calculating them together?? I’d imagine if there’s anything actionable here, it would involve looking deeper into how nova is delegating operations, but I can’t tell at this point it’s worthwhile or I’d be chasing my tail.